A professional chauffeur is considered by most clients to be a functional necessity. A Plus Coach agrees and goes above and beyond to not only make our Private Car Service Boston luxurious but affordable as well. Our Boston black cars are designed to provide our clients with an environment to collect their thoughts, make calls and host clients of their own. 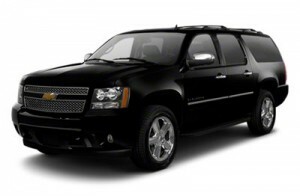 Our private car service Boston comes equipped with beverages and all of the creature comforts you could dream of. Seating up to 4 passengers, their luggage and personal items, A Plus Coach’s Boston Private Car Service is perfect for those that consider time and comfort important. Our professional and highly trained staff of chauffeurs are always ahead of schedule and ready to greet you at your pick-up point with poise and stellar service. A Plus Coach’s Private Car Service Boston is one of the smoothest rides ever. Don’t allow its sleek design fool you, the Lincoln Town Car is a heavy piece of machinery. You are sure to be safe while on the road in this fine automobile. The extended cab affords passengers added leg-room as well. Start your adventure with A Plus coach today! Here are some other fleet options for larger parties. Our Boston Black Car services are offered as part of our car service fleet in Massachusetts. This extraordinary sedan is the ultimate in luxury. Custom built by Lincoln and extended 6 inches which allows enormous legroom and comfort for the passenger. It includes over-sized rear doors, allowing our clients to enter the vehicle with ease. Our Town Car Boston is also equipped with backseat control panels located on the rear arm-rest to adjust the climate inside the vehicle, while also being able to control the radio/mp3 volume at the touch of a button. A Plus Coach is dedicated to providing our clients with the very best in limousine, town car and shuttle service Boston.